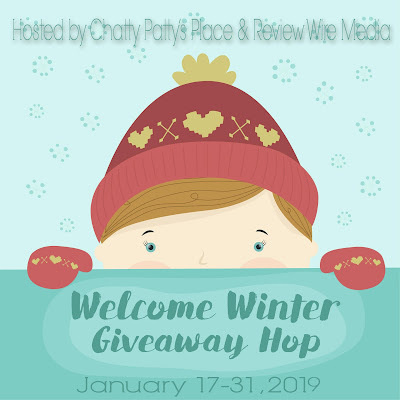 Welcome to the Mom To Grandma blog for the Welcome Winter Giveaway Hop! We know that not everyone is thrilled with winter, me included, therefore, our prize can be used for the comforts of staying in also. I get through the winter months with good books, good company, good food and maybe a movie collection from years past. I just received the Billy Jack Complete Collection for this month. We hope you enjoy your visit and come back often. Below our giveaway form there are many other awesome blogs with great prizes just waiting to be won. Enjoy! We at Mom To Grandma are self sponsoring our giveaway with $10. Pay Pal Cash! Must be 18, World Wide! Giveaway starts 1/17 and ends 1/31 at 11:59 PM EST. Winner must return winning e-mail within 48 hours or forfeit said prize. Please give the RC a moment to load. While any one entry will enter you, the more tasks you complete, the higher your chances. Good Luck Everyone! Disclosure: Mom To Grandma and participating bloggers are not responsible for shipping or receiving the prize or any injury from said prize(s). Although, we will try to reach the sponsor on your behalf if you have not received your prize in 6 to 8 weeks. Fb, nor any other social networks, are in any way associated with this giveaway. I love The Parent Trap 2 movie! I like It's a Wonderful Life! I love so many movies but i know that the movie You've Got Mail has to be one of my favorites since I've watched it countless times. Jaws is one of my favorite all time movie. My favorite is Facing the Giants. There are so many. I suppose the iconic Star Wars. My favorite movie is Titanic. The Wizard of Oz is my all time favorite movie. My all time favorite movie is Clueless. My favorite movie is Pearl Harbor. My favorite of all time is the original The Producers with Gene Wilder and Zero Mostel. Mine is Terms of Endearment. My favorite all-time movie is The Wizard of Oz. My all time favorite movie would probably be Queen of the Damned. My all time favorite movie is Some Like it Hot. I think my favorite movie is Clueless, because it's the only movie I can think of right now that I could just watch over and over again and still want to watch it. Oh that is so hard! I am going to say Twister! Too many favorites to list. My very favorite movie of all time is Fried Green Tomatoes. My favorite movie is Sense and Sensibility. I like the James Bond movies! Forrest Gump. Some people think Forrest Gump is a silly and easy-to-quote movie. Perhaps it is. But I’ve always found it inspiring. The Lion King is still one of my favorite movies. My favorite all time movie is " Fast and the Furious"
The Shawshank Redemption has always been a favorite of mine.